I seem to be finding a lot of brown items lately, but I suppose if I'm attracted to 70s stuff I'm going to have to embrace the colour brown. 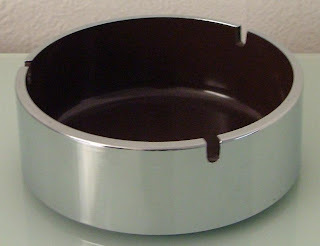 This ashtray will be re-sold when I get around to doing some ebay listing. 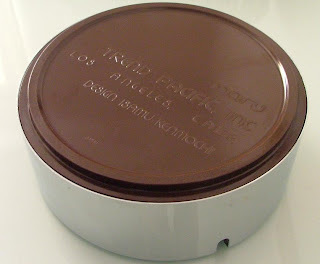 The writing on the base, in a typical 70s font, reads: maru Trend Pacific Inc, Los Angeles Calif. I really miss Habitat. I know there are still a couple of branches in London, but I rarely go to London, and I've kind of fallen out of love with Habitat since it was bought out by Argos (ugh). When I find Habitat stuff in charity shops I feel like I've re-discovered a long-lost friend. 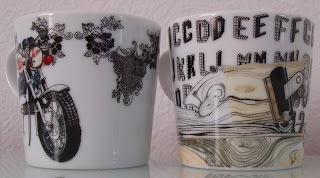 These "Hennie" mugs, designed by the wonderful Hennie Haworth make me happy. 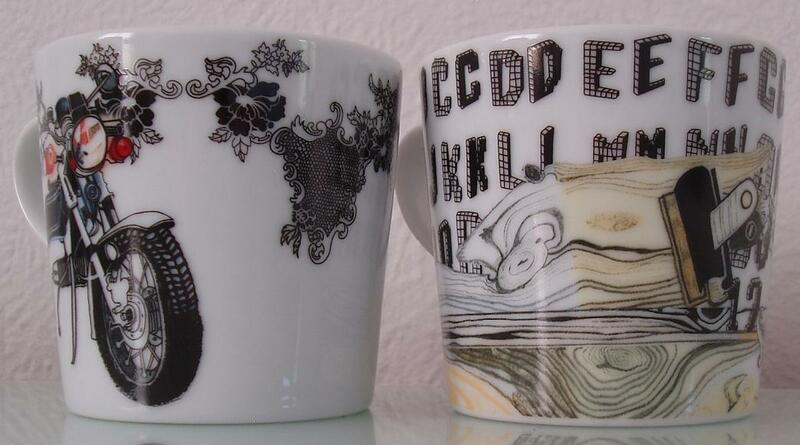 those are the most amazing mugs! oh my. i'll have to keep an eye out for those when i thrift. great finds!